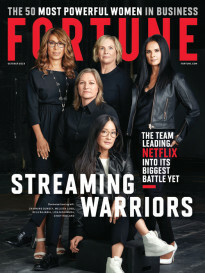 As Fortune reports in a new feature story this week, employers are increasingly looking beyond traditional credentials to find job candidates whose life experiences show their “grit.” That term is loosely defined as courage, perseverance, resilience, creativity, a knack for problem-solving and an openness to learning—and it may be a better proxy for success than any posh internship or Ivy League degree. For examples of people whose grit propelled them to the top, you may not have to look any further than the corner office. Complex challenges early in life helped these six current and former chief executives develop skills that got them to the pinnacles of their professions. The media mogul has mined her life story—poverty, despair, and sexual abuse starting at age 9—as a source of strength to push through professional barriers, and to inspire millions to do the same. “The reason I’ve been able to be so financially successful is my focus has never, ever for one minute been money,” she says. Schultz grew up in public housing in Brooklyn, surrounded by poverty, and was the first in his family to go to college (on a football scholarship). After training in sales, he launched the company that would later buy Starbucks (sbux). “In the course of the year I spent trying to raise money, I spoke to 242 people, and 217 of them said no,” he says. Nadella was climbing the ranks at Microsoft (msft) when life complexity hit. Zain, the eldest of his three children with wife Anu, was born quadriplegic and visually impaired. “It has had a profound impact on how I think, lead, and relate to people,” he has said, moving empathy and resilience to the forefront of his thinking. Her parents fled Cuba when Williams (née Jimenez) was 5; by 7, she was her parents’ main translator in talks with lawyers and accountants at groceries they owned in New Jersey. Mentors encouraged her early on: “I went from thinking I could be a manager to thinking I could do something much bigger,” she told Fortune. 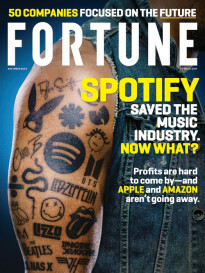 A version of this post appears as a sidebar in the article “How Your Life Experience Could Help You Land a Great Job” from the Feb. 1, 2018 issue of Fortune.